This framework uses a cross-sector, multi-stakeholder approach that is adaptive over time and creates multiple benefits across the community. Communities can use this framework to develop a climate resilience plan and strengthen local adaptive capacity. 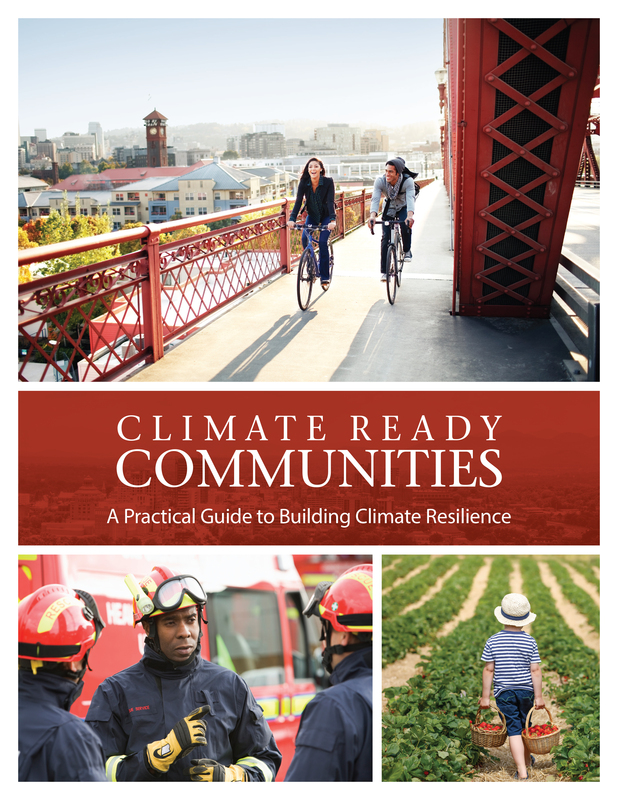 In addition to the Guide, the Climate Ready Communities program includes a companion subscription service to provide support to local leaders as they move through the seven steps in the Guide, as well as several add-on services, such as local climate projections, additional blocks of consulting time, and on-site facilitation. The commercial pilot phase of this new program begins in late March, 2018. Geos Institute is accepting applications now through February 28, 2018 to be one of the 15 communities in this pilot program.